Every film that won the Oscar for Best Picture enjoys a certain level of fame due to that elite honor. After all, many thousands of movies have hit screens since the Academy Awards first emerged in 1929, but only 80 of these have garnered the big prize. As such, these movies mark a claim to legendary status just because of their inclusion in the hallowed roster. However, all of these flicks aren’t created equal, and some are much better remembered than others. Of course, the farther back you go on the list, the fewer people will know a certain film, though that’s not a perfect rule. Obviously, 1939’s Gone With the Wind and 1943’s Casablanca remain awfully famous, and some other older pieces - like 1934’s It Happened One Night and 1950’s All About Eve - continue to maintain a nice audience. 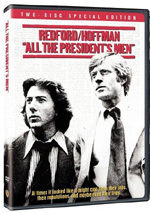 All the King’s Men appears in an aspect ratio of 1.33:1 on this single-sided, double-layered DVD; due to those dimensions, the image has not been enhanced for 16X9 televisions. This transfer gave the movie a consistently positive presentation. Sharpness worked well. Only a sliver of softness ever interfered with the image, as the film usually looked crisp and well-defined. At no point did any problems with jagged edges or shimmering occur, and edge enhancement remained absent. Despite the movie’s age, source flaws made infrequent appearances. Grain stayed within normal limits, and only a smattering of small specks cropped up along the way. These weren’t insanely rare, but they cause few distractions. Black levels appeared quite good. 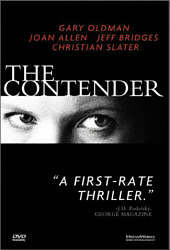 Dark elements were rich and tight, and contrast came across very well; the movie gave off a nice silver sheen. Shadows succeeded as well. Low-light shots demonstrated nice delineation and clarity. Except for the minor flaws, everything worked nicely here. The film’s monaural soundtrack seemed perfectly satisfactory for a roughly 60-year-old flick. Though speech displayed a thin quality typical of the era, dialogue usually sounded acceptably accurate and distinct. However, some lines were poorly dubbed and stood out during the film. For example, when we saw Willie as he campaigned, sometimes the wider shots appeared to be out of synch with his mouth movements. These concerns were rare, but they could become distracting. I expect that problem has always been with the film; it occurred during prior DVDs and wasn’t unique to this one. As with dialogue, effects and music seemed similarly flat and lackluster and they failed to demonstrate much dynamic range. However, those issues often appeared during older movies, so I had no great worries about them. At times, the effects could sound a little shrill, but the overall impact of the track was adequate. No issues with source noise materialized. Nothing here excelled, but the audio was good enough for an age-adjusted “B-“. Both the original 2001 Men and its 2006 reissue sported identical picture and audio quality. 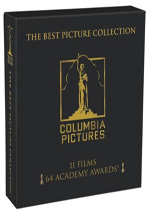 Though I feared this 2008 “Columbia Best Pictures Collection” release would offer the same presentation, it clearly did not; Men boasted a new transfer. This meant minor auditory improvements, mostly in the lack of source noise; the old track had some pops and distractions that didn’t appear here. The more substantial step up in quality related to the visuals, though, especially in terms of print flaws. The old transfer was a mess; it showed lots of nicks, blemishes and specks. Almost all of those vanished here. The new image also was tighter and better defined, with deeper blacks and more accurate contrast. Honestly, there’s a night and day difference between the two; the 2008 transfer vastly improved on its predecessor. 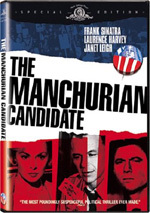 Neither the 2001 nor the 2006 Men DVDs included many supplements. However, they still bettered the 2008 edition, as it came with absolutely no supplements. Though we didn’t lose anything significant from the prior sets, this remained a lost opportunity; Columbia should have finally outfitted Men with some good extras. I wish I felt enthusiastically about All the King’s Men, but unfortunately, I thought it was a somewhat dull and heavy-handed piece. The movie featured some good performances, but it lacked great focus and it tended to ramble on for too long. The DVD provides very good picture and decent audio but includes absolutely no extras. As I write this in November 2008, this particular edition of All the King’s Men can be found only as part of “The Columbia Best Pictures Collection”, an 11-movie set that also includes It Happened One Night, You Can’t Take It With You, From Here to Eternity, On the Waterfront, The Bridge on the River Kwai, Lawrence of Arabia, A Man for All Seasons, Oliver!, Kramer Vs. Kramer and Gandhi. Because of that, All the King’s Men fans face a potential dilemma. I think they’ll really like this fine new transfer, but they’ll have to decide if they want the other movies as well; obviously no one will spend $135 just for one flick. At least Men fans can rest assured that they’ll get a strong presentation of the film; it really does look quite good here. Footnote: in addition to All the King’s Men, the “Columbia Best Pictures Collection” includes four other exclusive transfers. The versions of From Here to Eternity, On the Waterfront, Oliver! and Kramer Vs. Kramer all appear here and nowhere else. As for the rest, they can all be purchased elsewhere. As I write this, the 2006 transfers of It Happened One Night and You Can’t Take It With You remain bound to “The Premiere Frank Capra Collection” but Columbia has remastered editions due December 2008. I expect those will be the same as the “Premiere” editions, but I don’t know that for a fact. Kwai and Lawrence provide the same versions found in their 2008 Special Editions, while A Man For All Seasons and Gandhi come from 2007 SEs. At least this means the “Best Pictures Collection” never relies on transfers from the early 2000s or earlier; none of the set’s editions were produced before 2006.